Thank you for visiting our alumni web page. We are collecting information about our alumni for our archives. We’re interested in learning about what all of our alumni are up to—whether you got a job, got married, or just want to share a fun story about your time here. You don’t have to be famous to become a part of Institute history! Please email Tal Haring any anecdotes, pictures, and interesting factoids from your time at the Institute or in the real world. If you have an object or anything else that you would like to donate to the archives, please let us know. 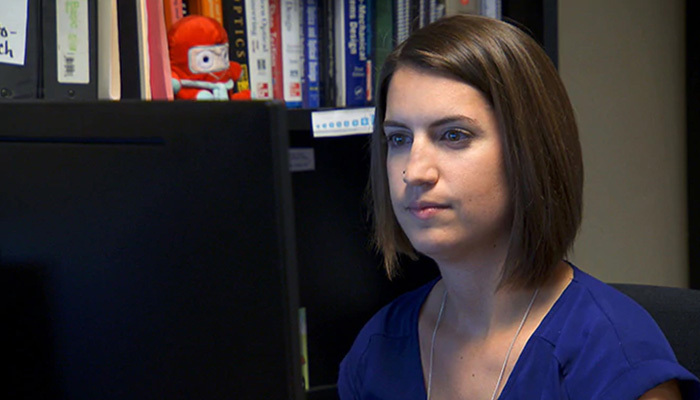 Katie Schwertz has been featured on NBC News Learn! In the segment she briefly describes optics, some of the ways it is used in everyday life, and her work in the field.